Robin Vickers was born in Miami, Florida and graduated with a Master’s Degree in Teaching English as a Second Language (1988) and a Doctorate of Religious Education from South Florida Bible College and Theological Seminary (2014). In addition, she has satisfied the 18 credit hours required to teach both College EAP and English courses from Nova University, Florida Atlantic University, and Liberty University. Dr. Vickers has taught at South Florida Bible College & Theological Seminary since 2015 as an English instructor. She also has been employed with Miami Dade College since 2006 where she has worked as a college prep lab instructor and as a SAT/ACT instructor for the Community Education Department. Today she works as an English instructor teaching ENC 1101 and ENC 1102 classes with the English Department at Miami Dade College and is a lab instructor for the English Writing support center, and an EAP (English For Academic Purpose) instructor for lower and higher level grammar and writing courses. 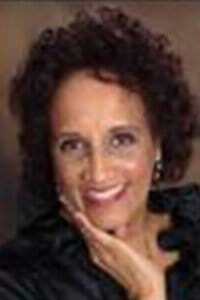 In addition, she’s employed as an English and reading adjunct at City College, Hollywood, Florida. In January, 1994, she resigned from her job as a Zoning Plans Examiner with the City of Miami after twenty years to fulfill the will of God. She and her husband, Rev. Vickers, opened the Westcoast School of South Florida with three students, August, l992. There she served as assistant principal, the reading, and English teacher, created a learn-to-read program, and incorporated a music and performing arts program within its curriculum for a rewarding 14 years. She also holds a Department of Education Official Statement of Eligibility, temporary certificate covering reading grades K-12 and has also taught at Broward College. Dr. Vickers serves as elder and first lady at New Vision Christian Center, Hollywood, FL. Today she and her husband, Rev. Warnell Vickers, Pastor of New Vision Christian Center reside in Miami and are proud parents of four (4) children and three (3) grandchildren. She desires to serve her home and community well.